The Lion’s Den Gorge Nature Preserve is an “ecological jewel” within the Ozaukee County park system. This park is a prototype for the planning and implementation of other “Nature Preserves” within the County park system that respects local ecology. This 70+acre park was part of an undeveloped Lake Michigan Shoreline property in the Town of Grafton, which contained a portion of the Lion's Den Gorge Natural Area. With the assistance of several private donations and public grants, the property was purchased by the County from Dr. Ghulum Dhar in 2002. The park offers tremendous viewing and educational opportunities, including access to a Natural Area that has remained untouched since before the European settlement of Wisconsin. The park is also adjacent to a 44-acre Waterfowl Production Area, owned by the U.S. Fish & Wildlife Service. The wilderness and the idea of wilderness is one of the permanent homes of the human spirit. 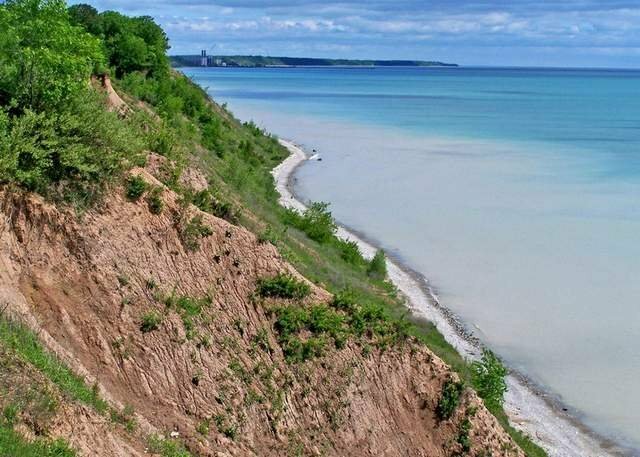 The Lion's Den Gorge property - 72 acres of Lake Michigan shoreline, bluffs, wetlands and scenic lands in the Town of Grafton are now finally! forever protected. A complicated collaboration, it took many months and countless hours of effort by people in many organizations; OWLT, WI-DNR, Town of Grafton Ozaukee County, Riveredge Bird Club, Wisconsin Coastal Management Program. Andy Holschbach, Director of the Land Conservation Department in Ozaukee County, was the key person in getting this deal done. He persisted even when everyone felt the situation was hopeless. For some reason, Dr. Dahr liked Andy and kept the communication going with him. They had many long telephone conversations and with his charm and sincerity, Andy won the confidence of Dr. Dahr. Once we neared an agreeable arrangement, John Lhost did his part. He handled the complex negotiations and real estate legal work. Of course, the courageous leadership of county board president Katie Smith convinced the board to ante up $300,000 and a permanent commitment to be stewards of this unique parcel. What an outstanding example of collaboration to a wonderful end! The title, after a conservation easement was placed on the property, will be transferred from the Ozaukee Washington Land Trust to Ozaukee County for management as a park and Natural Area. This beautiful land will now forever be preserved for the people for hiking, picnicking, observing wildlife and similar activities. 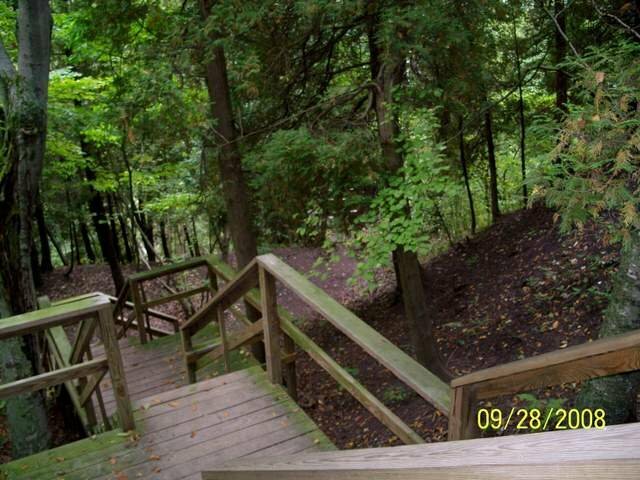 Identified by the Southeastern Wisconsin Regional Planning Commission as a natural area of local importance, the Lion's Den Gorge is a deep, wooded ravine that cuts across the northern part of the property and opens at Lake Michigan. If you haven't yet visited there, spring is a perfect time to be out and about! Please, however, stay on the trails! From I-43 north, exit 92, Hwy Q/ Hwy 60/ Ulao Road. Go east on Q to Hwy. C. North on C about 1 1/2 miles to High Bluff Road. Right on High Bluff into the preserve. 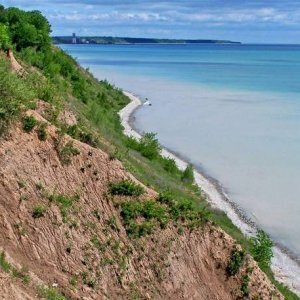 Eco-Tour Details	 Get a first peek at the plans for our newest coastal preserve that lies just north of Lion’s Den and learn about plans for its deep gorge, future trails and beach with Ozaukee County’s Matt Aho. Delve into the significance and history of the clay bluffs with expert, Dale Buser. 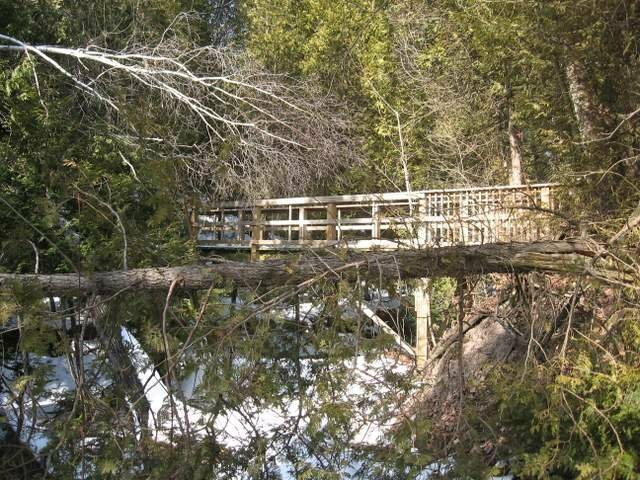 Take some time to explore this spectacular preserve with its trails along the bluff and down through the ravines to the lake below. You will want to bring a camera.